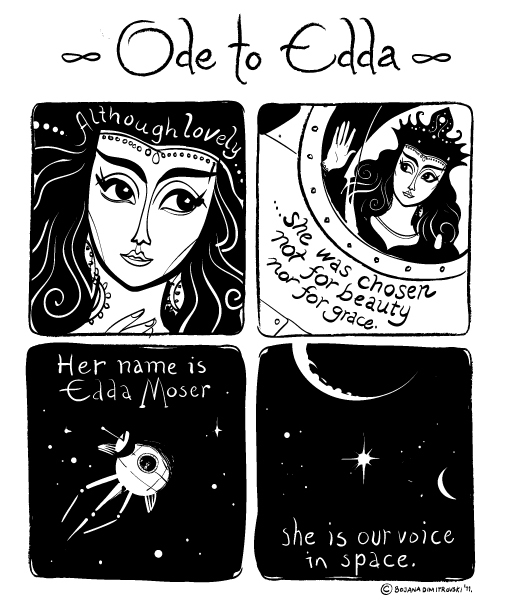 This short comic is devoted to Edda Moser, a German soprano who got to be a part of an amazing project back in the 70s. 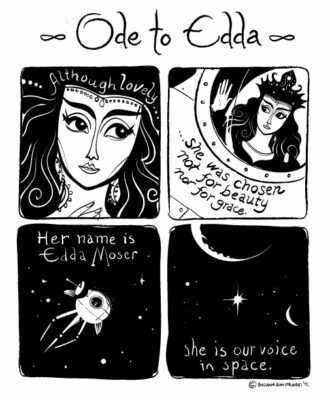 Her interpretation of the Queen of the Night (from Mozart’s Magic Flute) was one of the recordings chosen for the Golden Records which were placed on Voyager spacecraft and sent into space in 1977. Voyager left the solar system in 2008. You can hear the other recordings (and see the whole content) here.